Everyone, gasp in amazement! I’m about to write a positive review! Not only that, I’m actually recommending a chain! Actually, chains have never been all bad in my books. If you know a good one, then it’s comforting to know you can secure decent enough food pretty much wherever you are. And of course, I’ve already blogged about my love for Nandos. 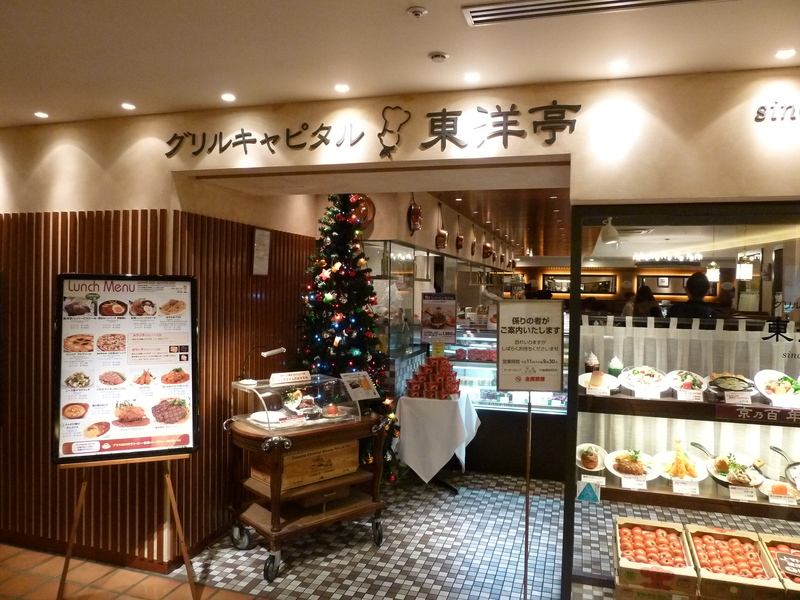 Calle and I were shopping in Takashimaya, the largest department store in central Kyoto, when hunger set in. Following a Lonely Planet recommendation that department store dining was good in Kyoto, we thought we’d give it a try. 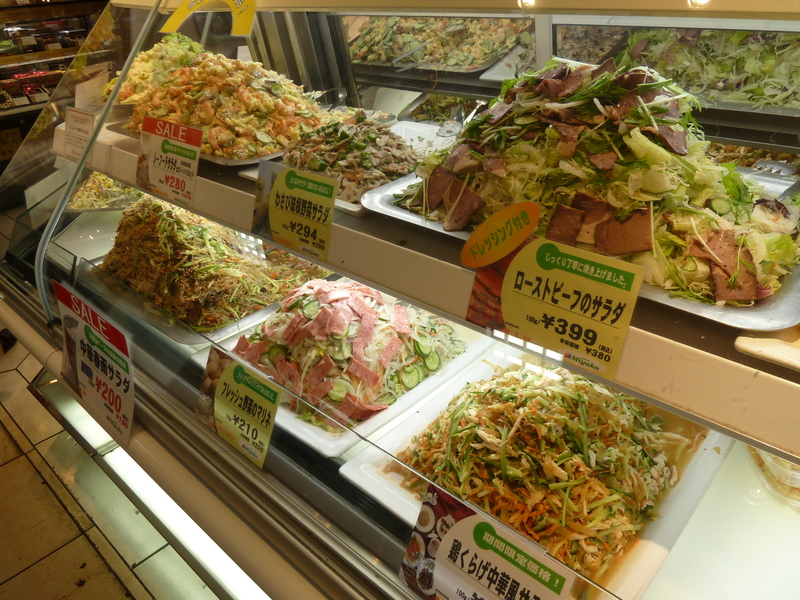 First of all, we paid a visit to the amazing food court that all good departments stores in Japan have in their basement. These are vast, vast rooms, filled with the most delicious looking food you’ve ever seen, ranging from yakitori (grilled chicken) to salad counters, from bakeries to high-end sweets. I only got a few pics but I promise a full blog post on this soon. Once you’ve seen these places, you’ll never want to shop elsewhere – but you’ll probably have to unless you’re quite well off. So… back to the lunch sets. They all came with rice or BREAD. I was excited about the bread because normal bread is a rarity in Japan. It’s normally white, chewy, with almost a cake-like consistency and slightly sweet. It’s not the kind of thing you want to eat with your eggs in the morning! But the bread at Touyoutei was not Japanese bread – it was choice between focaccia and baguette. Plus they kept serving it to me. I think I ate four pieces in total. 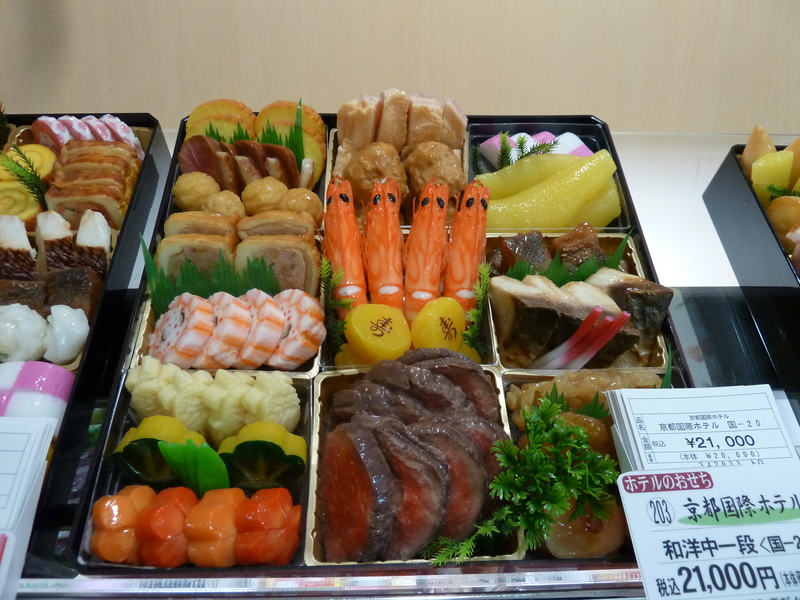 Every lunch set also comes with a giant tomoto, with a tuna mayonnaise salad underneath. 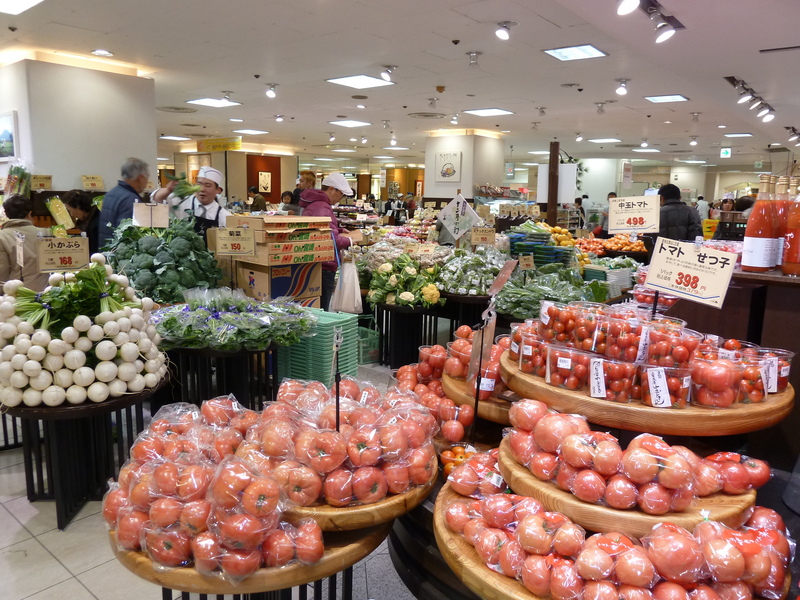 Tomatoes are very expensive in Japan, too expensive for us to justify buying them more than once a month. So to have a tomato this size was very exciting indeed. And then my meal arrived. Sizzling hot. I’ve just realised that the photo actually makes it look gross but I think you’ve all established by now that I’m no photographer. So please trust my word when I say it was delicious, served in a rich sauce containing red wine, and a piece of tender braised steak. 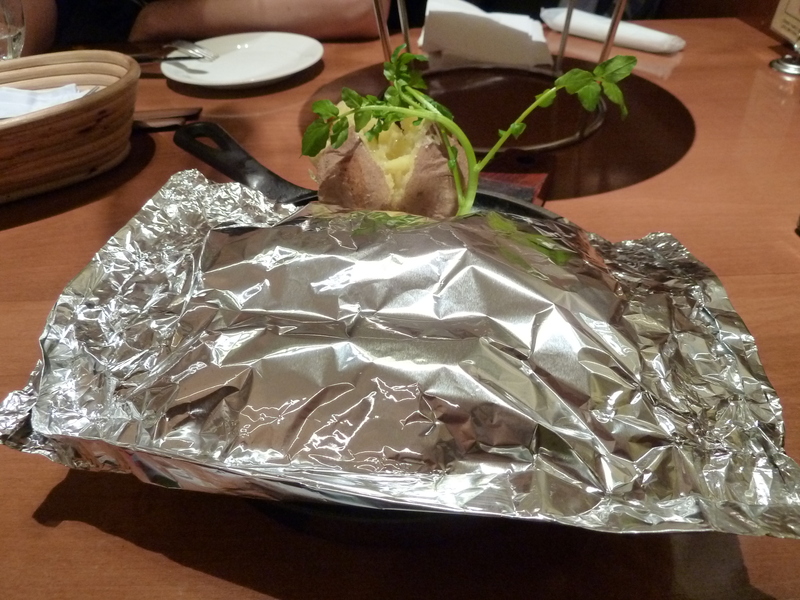 Excitement once again ensued over the JACKET POTATO. Ironically, I don’t even like these very much but after eating rice, rice, rice, any potato seems like heaven. This one was soft and not dry, topped with a generous amount of butter. Calle, of course, was not eating the meaty “grill” products. 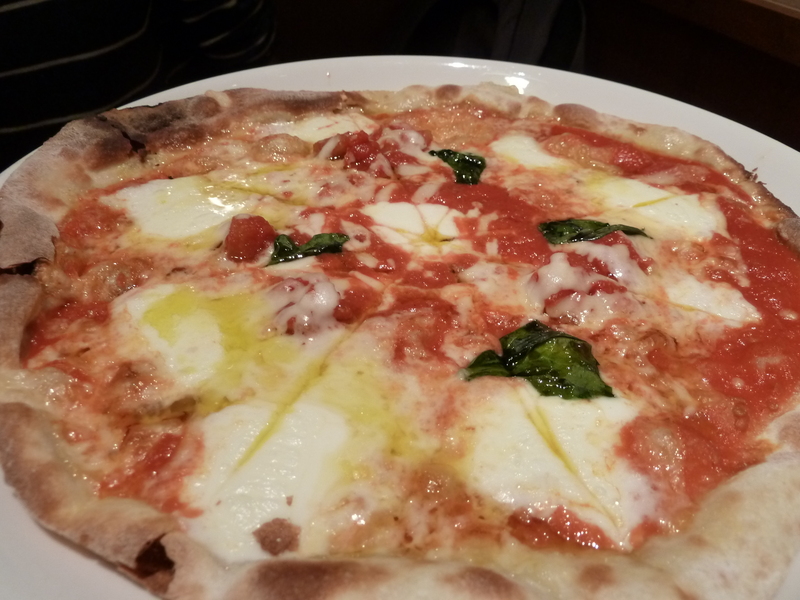 He ordered, to my dismay, a margherita pizza, which seemed like it was destined to disappoint. However, they have an open counter top where you can spy a little into the kitchen. To my amazement, I watched them roll out the dough, coat it in sauce and toppings, and bung it in the oven. Main courses over, I was twitching for desert. 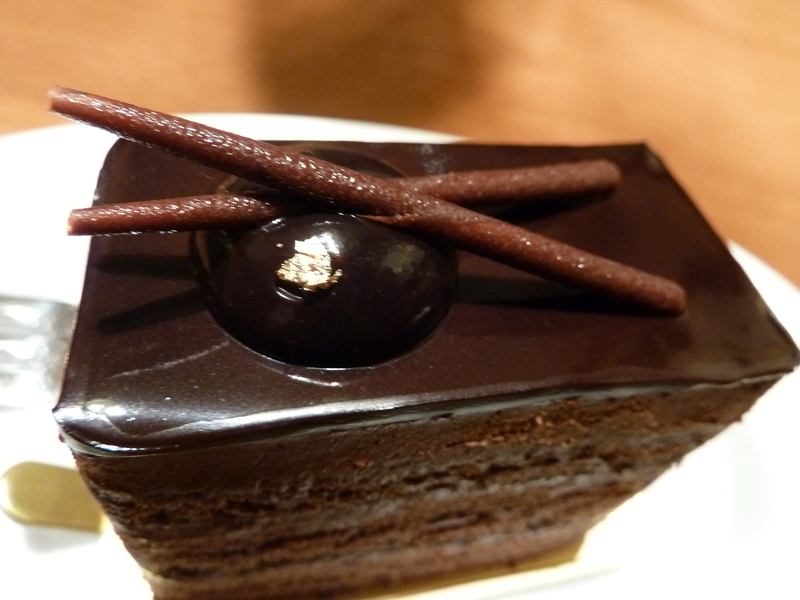 And here it is – one over-the-top chocolately cake. I ate it very carefully and it turned into this construction, which reminded me of Hokusai’s Great Wave – probably only because I’m in Japan. 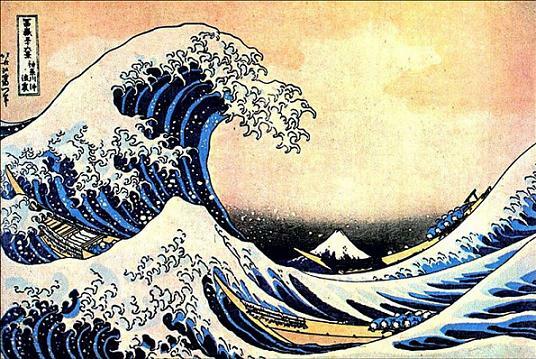 Calle said it reminded him of something, but it definitely wasn’t Hokusai’s Wave! What do you think? 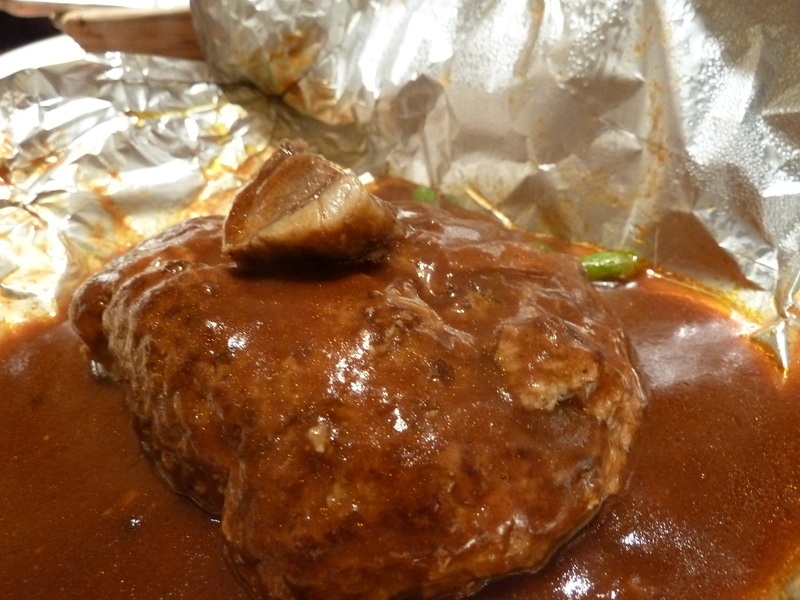 Food quality 3.5/5 – Tasty, and for a chain, not bad quality. Value for money 4/5 – Not the cheapest place for lunch but you get a lot for your money. Atmosphere – 3/5 – It was busy and relaxed, but it’s certainly not a place to go to feel trendy or be amongst the buzz. Service 4/5 – Very attentive. I got 4 piece of bread – yes! If you’re in Kyoto, go to the seventh floor of Takashimaya Department Store or Porta Shopping Mall by Kyoto station or find more locations on their website. 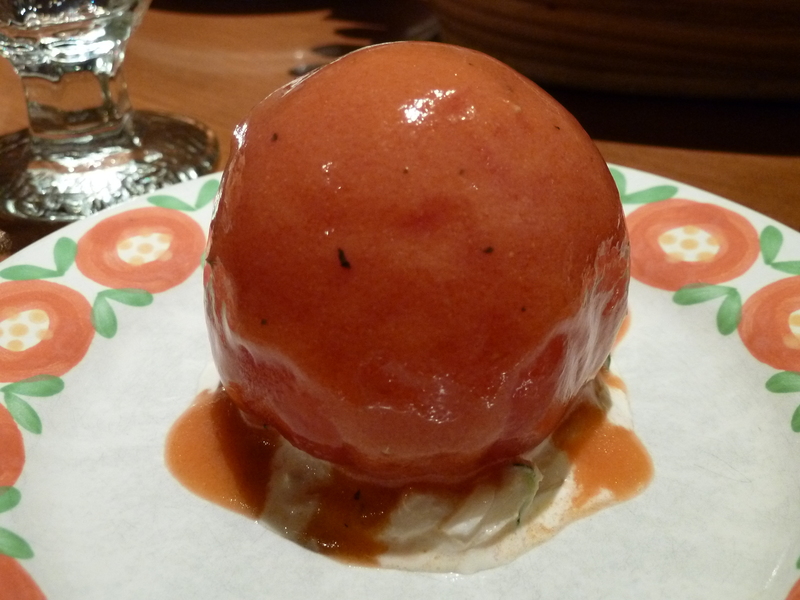 Touyoutei is mainly found in Kyoto but see the website for other cities. Yum! At last you have had a good meal! 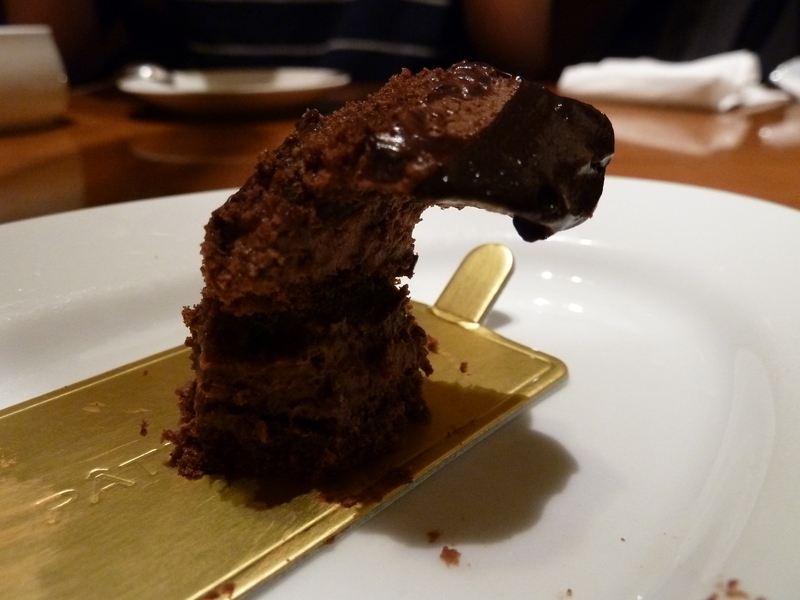 I would, however, have loved to have seen a photo of what Calle thought your half-eaten chocolate cake looked like!